Because there’s always got to be something out there to push the boundaries of what’s “normal,” folks who are into drinking things they’d usually eat should get a kick out of one Maine brewer’s newest concoction: Beer brewed using live lobsters and a dash of sea salt. 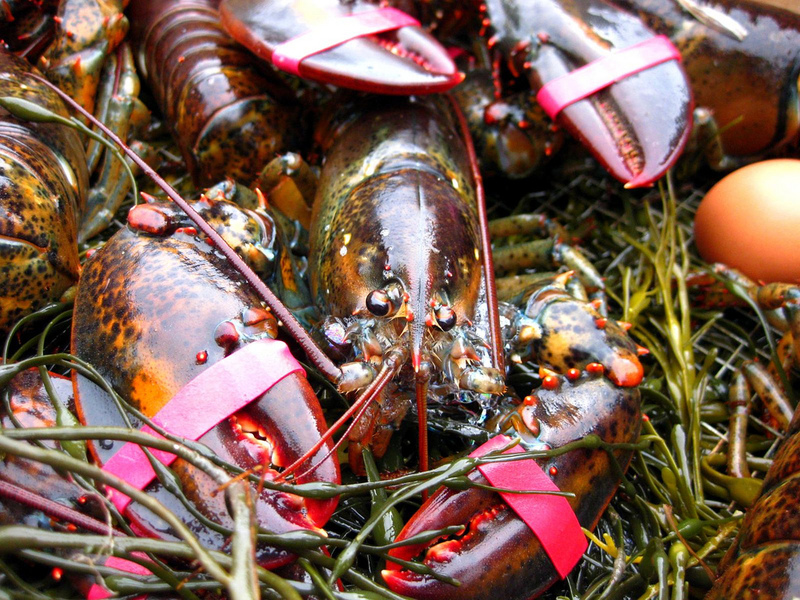 Lobster go from swimming in the sea off Maine to swimming in vats of beer, cutting out the tedious process of having to pair your food with a beverage, reports the Associated Press. Oxbow Brewery in Newcastle, ME has the special tap at its brewery this summer, with the lobster giving the beer a subtle brininess and sweetness, brewmaster Tim Adams says. As Adams explains it, the live lobsters are placed in a mesh bag and suspended in a kettle of boiling wort (the liquid that’s extracted from the process of mashing) during brewing, with a dash of sea salt as well. No butter dipping sauce, it seems. The result is a saison-style beer called Saison Dell’Aragosta, that’s brewed in collaboration with a brewery in Parma, Italy. It’s 4.5% alcohol by volume and is only available on a limited basis. And lest you were worried about those cooked lobsters going to waste, Adams says they’re eaten after they’ve served their purpose in the brewing process.